"It wasn’t as hard to go to law school, being married and with a child, as people think. I thought it would be an overwhelming burden and when I became pregnant I began to think I would never earn a law degree. Early on, my father-in-law said to me that if I decided not to go to law school because of this baby, that would be fine. No one would think the less of me for making that decision. But if I really wanted to be a lawyer, having a baby wouldn’t stand in my way. I realized he was absolutely right and I think he gave me sound advice for most things in life. If you want to do something badly enough you find a way, somehow you manage." — Ruth Bader Ginsburg, in Particular Passions: Talks With Women Who Shaped Our Times, by Lynn Gilbert. "That a lawyer could do something that was personally satisfying and at the same time work to preserve the values that made this country great was an exciting prospect for me." — Ruth Bader Ginsburg, Particular Passions: Talks with Women who Shaped our Times. A brief chapter, the oral biography of Ruth Bader Ginsburg whose contributions to civil and women’s rights continue today in the rulings of the U.S. Supreme Court. Available for nook / kindle / ipad at Amazon and Apple for $0.99. "Tantalizing glimpses into the lives of women who have not only made a living at their own “particular passion,” but have become well known, even world renowned, for doing work they love." — Christian Science Monitor. The book, Particular Passions, profiles forty-six pioneering American women of the 20th Century from the arts and sciences, athletics and law, mathematics and politics, among other disciplines and is available now for all e-reading devices. 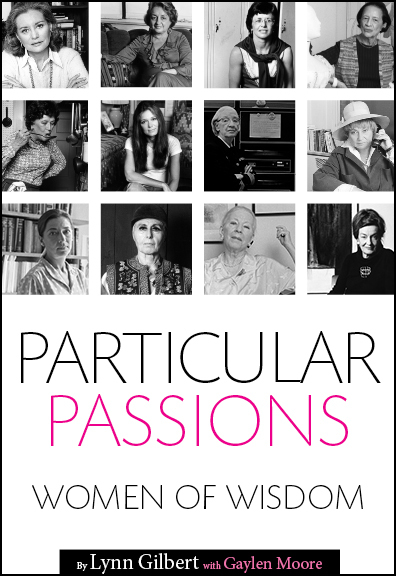 The first of its kind, Particular Passions identifies the women who had an historic impact on women's rights from the 1920s to the late 1970s. These oral biographies recorded in the 1970s, capture the experience and wisdom of the women who opened doors for all of us. The progression of the stories echoes the evolution of life for women in America. Published to critical acclaim in 1981, Particular Passions is included in more than 800 academic institutions and government libraries worldwide. Gerda Lerner was the first person to put “women’s studies” on the map, establishing women’s history as an important part of a university’s curriculum. I was honored to have her use my book as the core of one of her classes. "Injustice anywhere is a threat to justice everywhere." — Martin Luther King, Jr. Perception of women in the law has taken centuries to evolve. Thetis, (personification of divine justice), was sculpted by Rhamnous in 300 BC. Justice, again was represented as a woman in Raphael’s fresco in 1520. It took another 2,300 years for a real woman, Sandra Day O’Connor to be appointed to the Supreme Court in 1981, since its’ inception in 1790, followed by Ruth Bader Ginsburg in 1993, Sonia Sotomayor in 2009, and Elena Kagan in 2010. 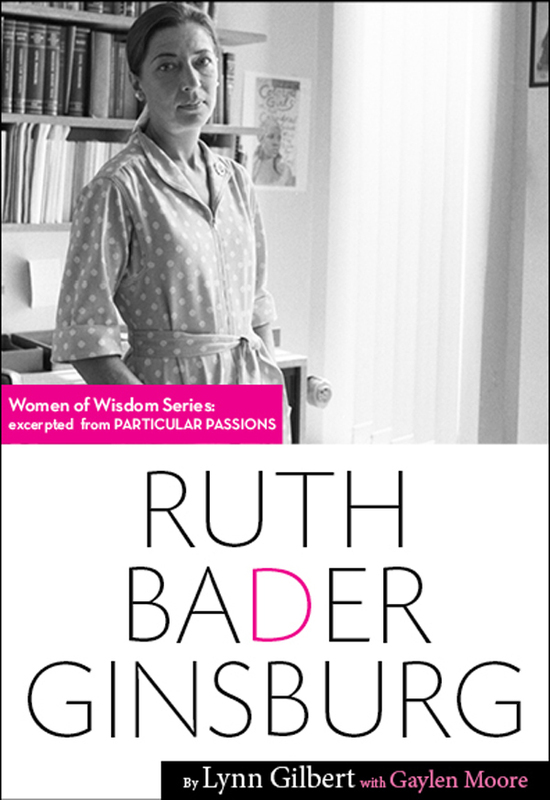 Read a brief chapter of Ruth Bader Ginsburg in "Particular Passions: Talks with Women who Shaped our Times," whose contributions to civil and women’s rights continue today in the rulings of the U.S. Supreme Court, Amazon or Apple for only $.99. As one reviewer said of Particular Passions, “One of those rare, rare books that pick your life up, turn it around and point it in the right direction." — K.T. Maclay. Available on Amazon and Apple. In his auspicious inaugural address today, Obama said "When times change, so must we." 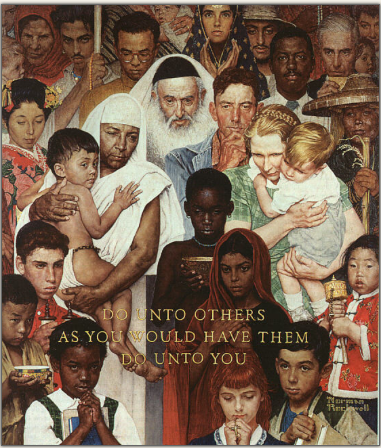 Real action, and the opportunity for equality for all, will follow these inspired words... hopefully.